Home > Headlines > News > 2018 Volkswagen Golf R: No Major Changes. Hooray! 2018 Volkswagen Golf R: No Major Changes. Hooray! MALLORCA, Spain – Automakers must constantly update their products to keep them fresh and competitive, and to keep consumers ready and able to trade in their old model for a new one. When a car or truck spends a few years on the market without change, we usually start complaining. Not the case here. The 2018 Volkswagen Golf R is pretty much the same as the 2017 edition, and that’s a good thing. The Golf R won our comparison test of AWD sport compacts, beating out the violent Subaru WRX STI and the immensely powerful Ford Focus RS with an excellent combination of speed, handling and poise. Truthfully, the performance-infused compact hatchback did get some cosmetic, technological and mechanical improvements, but they’re not that significant. A six-speed manual transmission is standard, but the most important change that a dual-clutch, seven-speed DSG gearbox replaces the six-speeder on the options list. 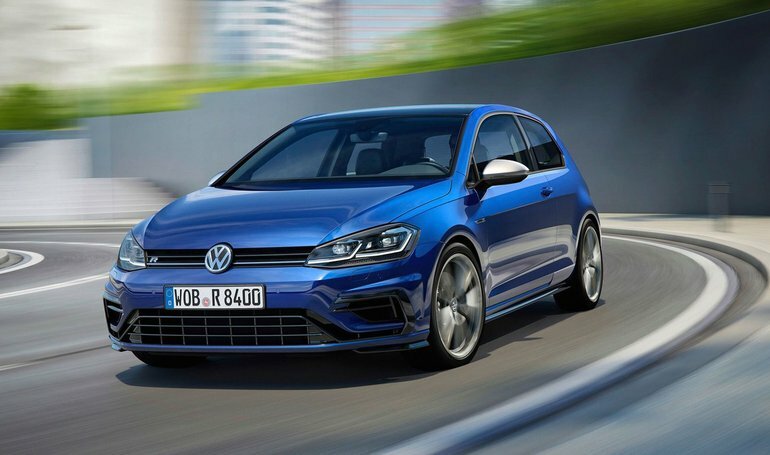 It will be on the only Golf to get in during the 2018 model year. Output is unchanged at 292 horsepower and 280 pound-feet of torque, provided by the Golf R’s turbocharged, 2.0-litre four, and all-wheel drive is obviously standard. During the media launch of the fully electric 2017 Volkswagen e-Golf and Volkswagen Golf GTE plug-in hybrid, we got a small sample of the refreshed Golf R on the Circuit Mallorca, a not-too-technical, but amusing track located on the Island of Mallorca in Spain. As expected, the car handled beautifully around the 3.2-km course and is quite forgiving, thanks to the grip of its 4MOTION drivetrain. Volkswagen is a master of small-displacement, turbocharged engines—well, gasoline engines at least—and this 2.0 TSI mill is a marvel. It feels more powerful than the numbers suggest, and there’s plenty of low-rpm torque for blasting away as we exit corners on the circuit. According to Volkswagen, the Golf R hatchback can sprint from 0 to 100 km/h in 4.6 seconds, while the Golf R Variant takes 0.2 second more. Variant means wagon in VW-speak, and sadly, it’s not sold in Canada. In addition, Volkswagen dealers will offer an aftermarket exhaust system from Akrapovi?. It’s made from titanium and weighs 7.2 kilograms less than the standard-issue exhaust. It belches out a deep, flatulent soundtrack that may or may not give us goosebumps, depending on our tastes. No word on whether the system actually raises the car’s output, but this dealer-installed exhaust system should carry a four-digit price tag. For 2018, LED swivelling headlights, daytime running lights and taillights are now fitted as standard, as are automatic start/stop for DSG-equipped cars and a new design for the 19-inch alloy wheels. Inside, the 6.5-inch touchscreen is upgraded to 8.0 inches, while the fully digital 12.3-inch Volkswagen Digital Cockpit—the brand’s own version of the Audi virtual cockpit—is also included. Pricing for the 2018 Volkswagen Golf R, which will be on sale this fall, has not yet been set. However, we should expect an increase over the 2017 edition’s $40,695 MSRP to compensate for the added features. 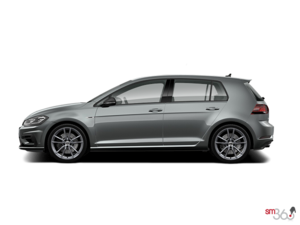 In Canada, the Golf R will also be available in a wide variety of colours, as long as we’re willing to pay an extra fee of $2,995.